I am writing to you for the first time in my capacity as Chair of CBA North to thank you for your continued membership and support. I would also like to highlight some of the work of CBA North, which I hope will be of interest. We try to include details of as many public talks on archaeology and history which take place in the region, though if your group is not represented please let us know and we shall update our list of events. As you can see from the list there is a great range of talks given every week across the region. As with the talks, if the contact details of your group are absent or out of date please let us know. This year we are exploring new ways in which we can serve our members and we are asking you for suggestions. 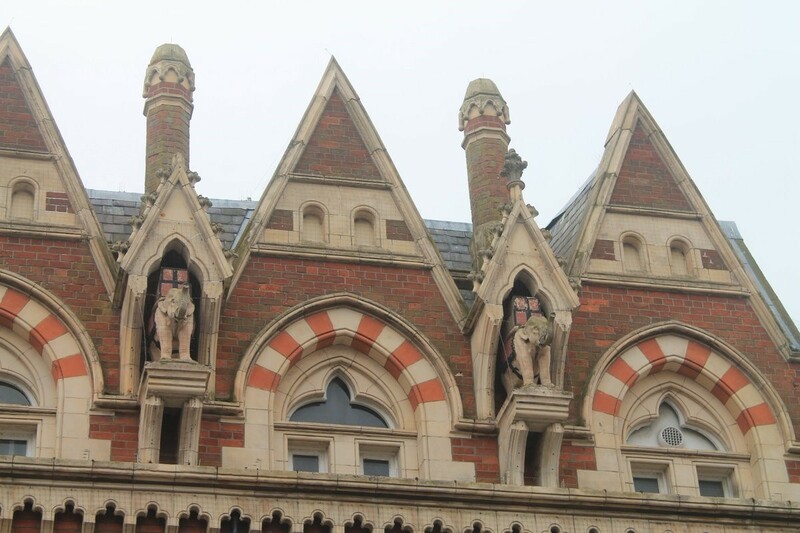 If there are things you think we could change, information you would like to see passed on, or activities which you think would boost local interest in heritage matters please write to us or email us with your suggestions. If you feel you could contribute to the work of CBA North, and you would like to think of becoming a committee member please get in touch. The committee is for everyone, and you do not need to be a professional archaeologist or historian to be a member. Archaeology for All is the motto of the Council for British Archaeology and we hope our committee represents the diversity of our members. We’ve pulled out the February and March 2019 events from our events page and the fuller listing as a whole for you here. There is much happening despite it being within the last full week of February and the first week of March, as well as later in the year accessible through the link above. The Society has had another activity-filled year. We had five lectures on a selection of wide-ranging topics. 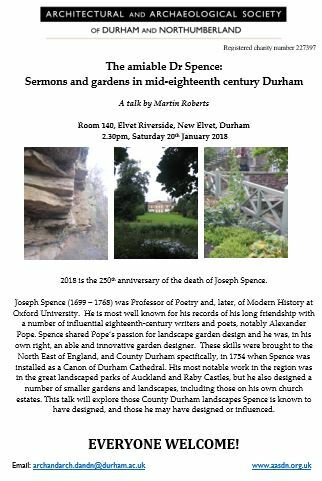 Most of the talks were held in our usual venue at Elvet Riverside in Durham. In June Dr Stephanie Piper, Assistant Project Archaeologist with Archaeological Services Durham University and Lithic Specialist, talked to members about the Mesolithic in the Western Isles of Scotland. Our July lecture was given by Dr Sonia O’Connor, Honorary Visiting Fellow, University of York Post-Doctoral Researcher, Archaeological Sciences, part of the AGES Division in the University of Bradford, on the fascinating use of x-rays in archaeological science. Sonia’s lecture was followed by a wine reception at Durham Heritage Centre and Museum. In September Emma Watson of Durham University gave a paper on the ‘forgotten’ and sometimes neglected prehistoric monuments in northern England. Emma will be leading a bus trip for the society to see some of these monuments in 2019. Our autumn lecture was by Peter Ryder, Buildings Historian, on the under-studied nonconformist chapels of the North-East. In November Dr Kayt Armstrong, a Researcher with Durham University, talked about landscapes of the Great Depression in North East England. The Society’s Annual General Meeting in May was held at Trinity House in Newcastle, with our guided tour led by Grace McCombie, buildings historian. Our December Members Meeting on 1st December was hosted by Ormesby Hall. We had this lovely National Trust property, which was decorated for a 1950s Christmas, all to ourselves for the afternoon. Five short enjoyable informal presentations by members were followed by tea and cake. AASDN members have been treated to three excursions this year. On 23rd June members enjoyed an informative guided walk around Sunniside Conservation Area in Sunderland, led by John Tumman, co-author of Sunderland Heritage Forum’s town trail A Walk Around Historic Sunderland: The Fawcett and Sunniside Estates. In 1810 the Wearmouth Bridge Commissioners paid the Fawcett family £500 for a road, now Fawcett Street, to be taken across their fields to serve the new bridge, which had been built in 1796. The development of this part of Sunderland then accelerated rapidly. Four storey terraced houses with private gardens were built on Fawcett Street for the middle classes and it became the principal residential street in town. On Saturday 18th August we had an enjoyable trip to the market town of Barnard Castle, led by Caroline Hardie. The town was founded in the twelfth century. We explored the maze of streets and alleyways behind the main street. Amongst the lesser known architectural gems of the town, we saw weavers’ cottages on Thorngate with their characteristic row of windows directly beneath the roof eaves, Thorngate cloth mill, the former Methodist chapel on West View, now converted into apartments and the richly carved chest tomb of George Hopper who died aged 23 in 1725. Our last excursion of 2018 was to Aldborough. Rose Ferraby and Professor Martin Millett guided us around Roman Isurium, the capital of the Brigantes tribe. Isurium was probably founded in the late first or early second century. The Roman road through Isurium formed a leg of both Dere Street and Watling Street. 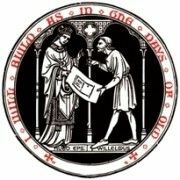 The society website has its own website: http://www.aasdn.org.uk/. Membership of AASDN costs only £20 a year and joint membership is £25. Enquiries about membership should be sent to the Membership Secretary, Janet McDougall, who can be emailed here. 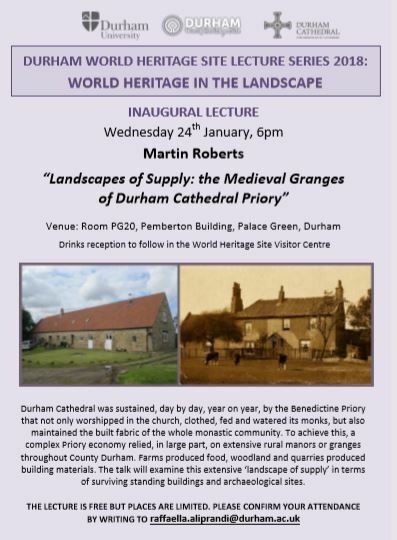 As you will see in the events listed above, the ‘Arch & Arch’ lecture for February is tomorrow afternoon in Durham. Everyone is welcome to hear Emily Hamscan speak on Nationalism and Archaeology: Excavating Romania’s Roman Past on Saturday afternoon at Durham. The time and venue of the lecture can be seen in looking at our Twitter pages for their poster, which can be found here. This entry was posted in E Newsletter and tagged AASDN, Appleby, BAS, CCA, County Durham, Cumbria, Lunesdale, NAG, NEAES, Newcastle, Newcomen Society, Northumberland, SANT, TAS, Teesside, TillVAS on February 22, 2019 by cbanorth. We’ve a few announcements in this email for you from a variety of sources. Firstly there is a CBA National survey which is anticipated as an up-to-date summary of all local archaeological groups across England and Wales, some further details of the Teesside Archaeological Society, reminders of other events from Appleby to Berwick, via Newcastle and Crookham, this and next month, as well as a note about the forthcoming General Data Protection Regulations. If you would like to submit anything, or indeed for the next CBA North Committee, please feel free to do so. The contributions and thoughts of all Members and Followers are most welcome at any time. Much of our admin work behind the scenes over the next few weeks will be preparing things for the General Data Protection Regulations. We will make it as painless and easy for you as possible, but we can’t ignore it as the law. “The Council for British Archaeology (CBA) has launched a survey about archaeology volunteering. We want to find who out takes an active part in community archaeology and what kind of things you get involved with. Most importantly we’d like to know about the kinds of additional support you need to thrive and how the Council for British Archaeology might be able to help you. The last time we asked you about this was 10 years ago and a lot has changed since then! We would appreciate it if you could distribute this email to your members, the survey can be completed by a representative of a group or an individual. The CBA brings together the interests of a wide range of people and organisations involved with archaeology in the UK. This includes commercial archaeologists, those working in local authorities, museums or other parts of the archaeological heritage sector; universities; community archaeologists and volunteers. We will use the results from the survey, which has been funded by the Headley Trust, to help shape the work of the CBA over the coming period and better tailor the support we, and others, can offer to community archaeology. Click here to start the survey https://www.surveymonkey.co.uk/r/CBA_Community_archaeology_2018. The survey closes on Thursday 29 March 2018. [If you would like a copy of all survey questions so you can discuss and debate your answers between your local group’s committee, please let us know and we’ll see if we can forward one onto you. Since the last survey a number of new local groups have formed, so this survey will be very useful as an up-to-date summary of what is happening and where. Please forward this email or the survey link on to others!]. Teesside Archaeological Society’s monthly talk, tonight, at Stockton is Chris Casswell of DigVentures. 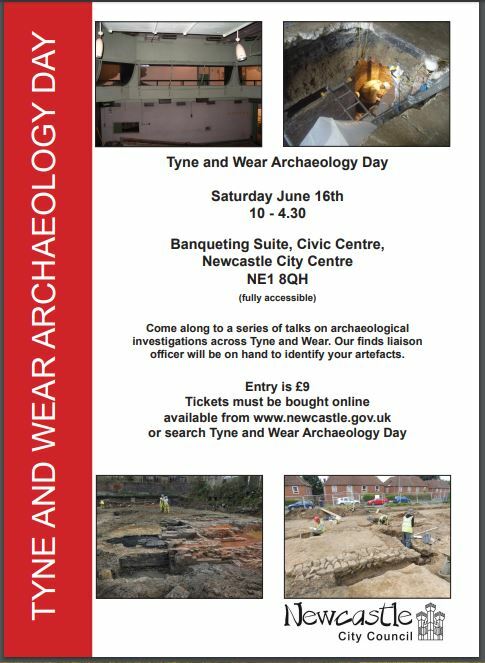 He will be talking on a series of excavations across, adjacent and related to sites in CBA North-land. His title is Lindisfarne to Lancaster: Community-based Excavations in the North of England (and a bit of Scotland). 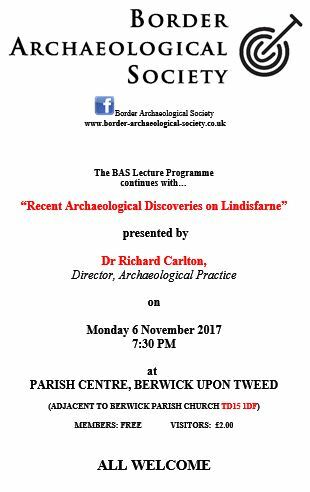 This talk will look at a number of excavations – from a Bronze Age barrow to Medieval village – that have happened, most notably at Lindisfarne, as well as one to come this year in Scotland related to Durham and Lindisfarne. As normal for TAS events this will be at Stockton Library at 7.30. As we are in the last week of March and an Easter break close at hand for many here is a quick snapshot of what is happening across CBA North-land from our Events page for the end of March and start of April. Just today we have also have updated this page with all the TAS events planned as well. Looking further ahead we also have heard of one group’s 2018 to 2019 programme already! Further details are through our website pages for the groups, the times and venues of these meetings. We hope you can get along to them! We will shortly be writing to all members about these changes which are very important for how we contact you. This means some changes to our Social Media and Digital Information Policy which was adopted in 2016, which are largely tweaks that Committee are working through. In the meantime we have some notes from CBA National highlighting what local groups need to do and as a possible template for your group. 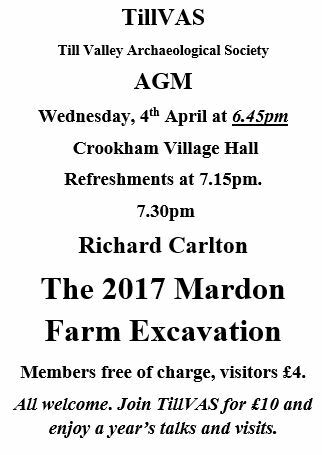 If there is a demand from our local group members, then we might look to hold a meeting for you on this before the end of May deadline. Let us know if you would be interested in this. Or if your group ahead of the pack, then let us know so we can highlight your work to others of the CBA North network. 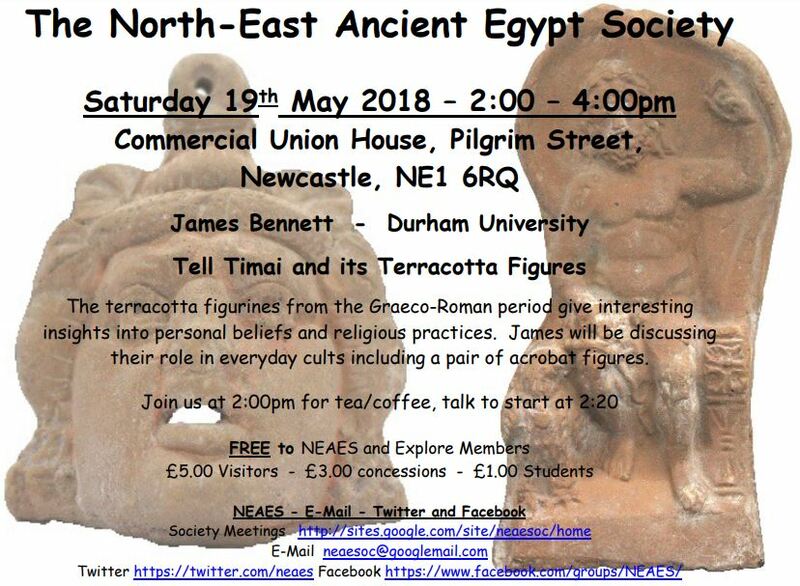 This entry was posted in E Newsletter and tagged Appleby, BAS, CBA, CBA National, community, lecture, NAG, Roman, SANT, survey, TAS, Vindolanda on March 27, 2018 by cbanorth. 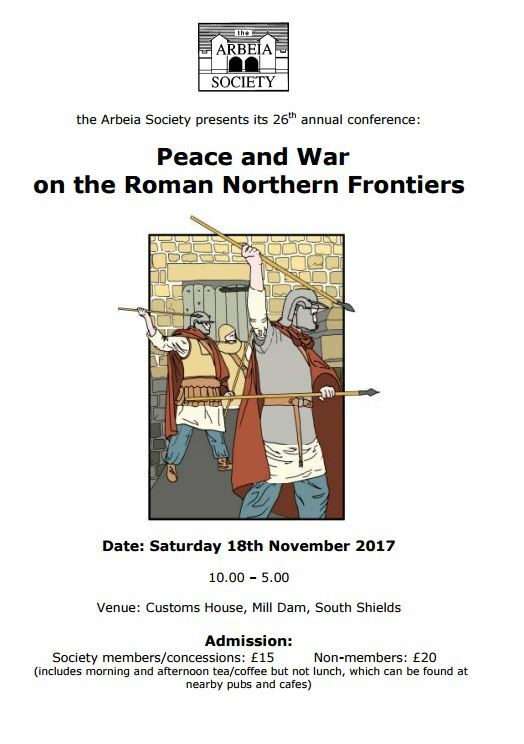 CBA North News – A Stop Press! 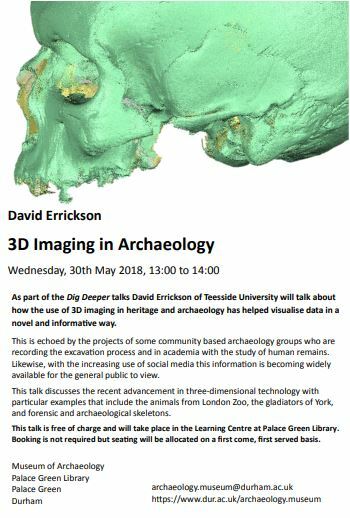 We’ve just heard that the Teesside Archaeological Society lecture tonight is now cancelled! 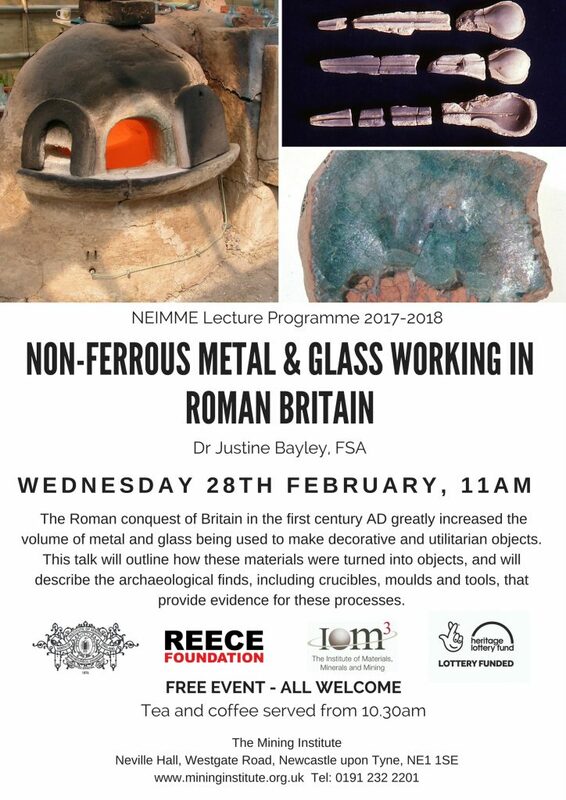 This entry was posted in E Newsletter and tagged County Durham, Durham, Finds, Finds Liaison Officers, lecture, PAS, Post-Medieval, Roman, Stockton, TAS on February 27, 2018 by cbanorth. A quick email to update Members and Followers of events this week. The final week of February sees three events that we know of, as well as the chance to book up for a regular March event. It is all go despite the snow! Take care out there! 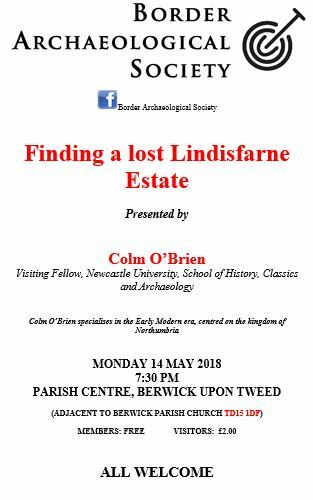 Following on from our earlier notice of the Durham talk on treasure hoards, with a particularly Bronze age focus, Ben Westwood is talking to the Teesside Archaeological Society tonight. 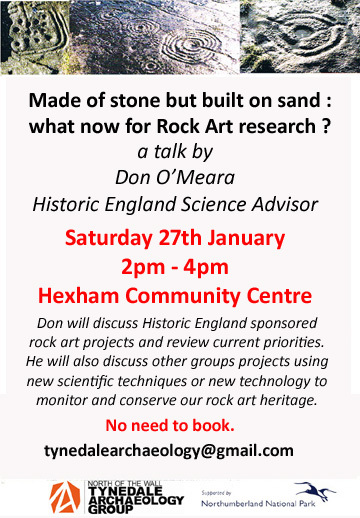 His topic is The Portable Antiquities Scheme in County Durham, Darlington and Teesside: Recent Finds of Note. Those Members who attended last year’s AGM will recall details of the scheme outlined in the talk following the business, here you’ll hear of some more and more recent finds. 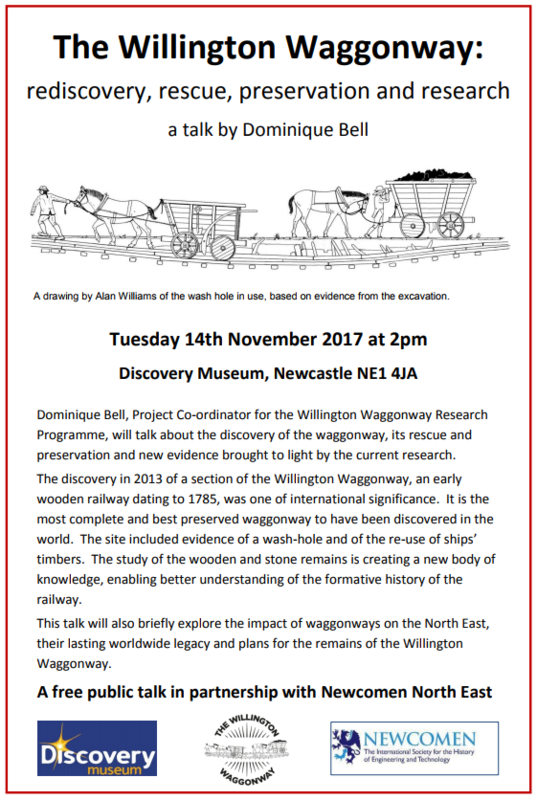 …whilst the evening sees the regular lecture of The Society of Antiquaries of Newcastle at 6pm with Diana Whaley talking on Northumberland and its Names c.1860 – new light from the Ordnance Survey Name Books. Further research on the remains of the Scottish soldiers found at Palace Green. A community excavation at Piercebridge Roman fort. Historic Building Recording at 34, Saddler Street, Durham. At £16.00 per person (students £12.00) tickets include buffet lunch and refreshments mid-morning and mid-afternoon. To book and pay for a place online follow the link http://www.durham.gov.uk/doitonline and click Archaeology Day from the services listed. Alternatively telephone 03000 260 000 to book a place and pay over the phone. CBA North Committee work continues full of busy – this has included bringing our Events page up to date with recent changes. Please feel free to bring to our attention any further events that you know of to send round everyone else. Apologies for the lateness in the email – there is so much happening across the CBA North region and much else we are doing for you behind the scenes. The lecture series of many of the local groups within the CBA North network started near the start of the month. 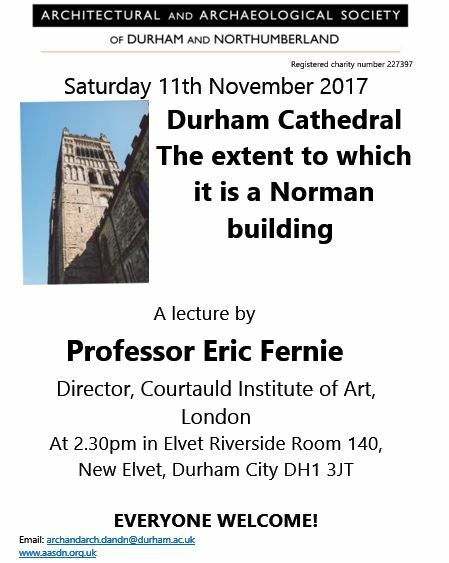 Here’s a poster for something happening this afternoon if you are in the area of Durham. “The Society was founded in 1861 and has, since that time, pursued an active programme of lectures, field trips and publications. 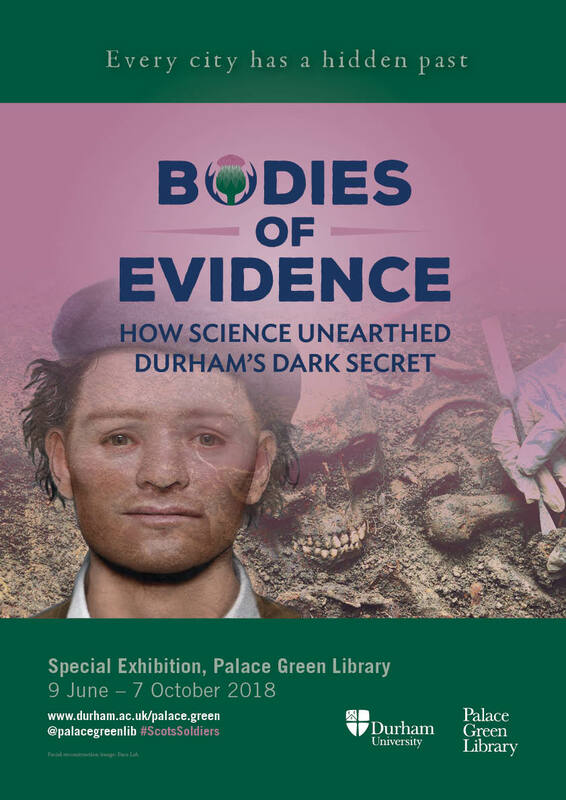 Based in Durham, but with interests throughout the region, it aims to provide an opportunity for all those interested in archaeology and architectural history to find out more, visit places of interest and experience hands on activities. The application process is open for our annual research grant, which welcomes applications for a maximum of £250 for projects based within the North-East of England. See http://www.aasdn.org.uk/news.htm to read more about the award and how to apply. Please note that the closure date for applications has been extended to the 31st January 2018″. 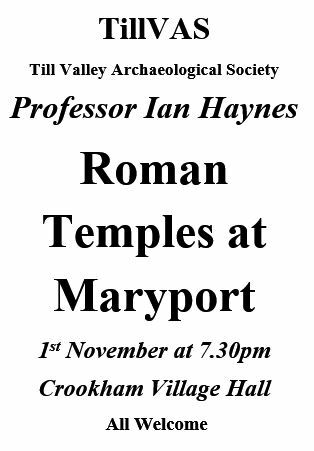 …and that of Tynedale Archaeology* in Hexham that afternoon as well. As per 2017 there is plenty to get involved in. *Details of each local group can be found in our Local Societies and Groups website page. (Please let us know of any 2018 alterations to this page). In case you have not already seen our Events on our website, we’ve listed something like 50 archaeological group meetings all across the CBA North region. In case you have already looked at this page, please take a glance for the new additions from the Northumberland Archaeological Group, Teesside Archaeological Society, Tynedale Archaeology and others besides. This information is up to date as far as we know and includes the changes that we have been told of. Please feel free to circulate this email, through the links above or through the website page, to anyone that you think might be interested in these events. 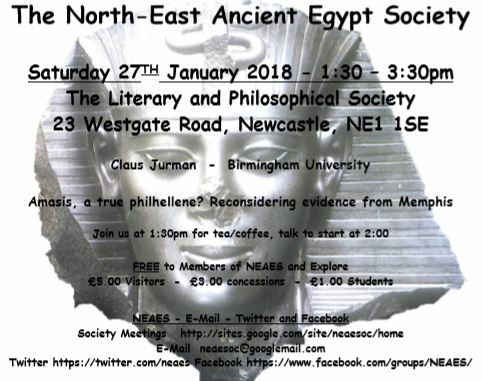 This entry was posted in E Newsletter and tagged AASDN, Ancient Egypt, Durham, forensics, grants, lecture, Medieval, NEAES, research, Rock art, TAS, Tynedale Archaeology on January 20, 2018 by cbanorth. Another quick email with an extended list of the November events we know of. If you know of any others or would like us to publicise others, please let us know the details. This entry was posted in E Newsletter and tagged AASDN, Appleby, Arbeia, BAS, NAG, NEAES, SANT, TAS, TillVAS on November 1, 2017 by cbanorth.